In Draa Abul-Naga, a necropolis for noblemen and rulers not far from the Valley of the Kings, a 3,500-year-old tomb has been unearthed by archaeologist Mostafa Waziri and his team. The occupant of the tomb was named Amenemhat. He was a royal goldsmith during the 18th-century and dedicated his work to Amon-Re, the sun god. The burial chamber contained statues of Amenemhat, his wife and one of their sons. 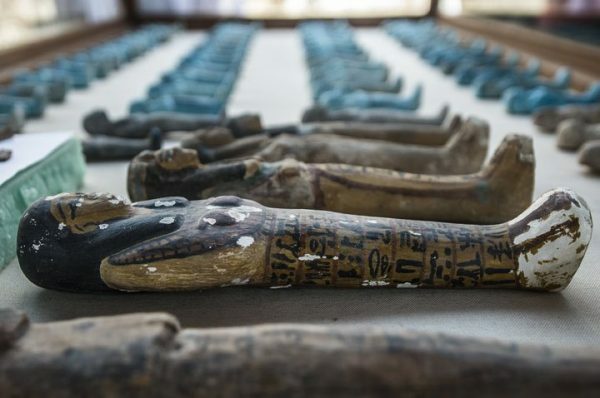 The contents also included pottery, funerary masks carved out of wood and ushabti, figurines that serve the dead in the afterlife. For more information read the New York Times article here. See the off-the-beaten-path wonders of Egypt on our Undiscovered Egypt (March 3 – 18, 2018) itinerary!